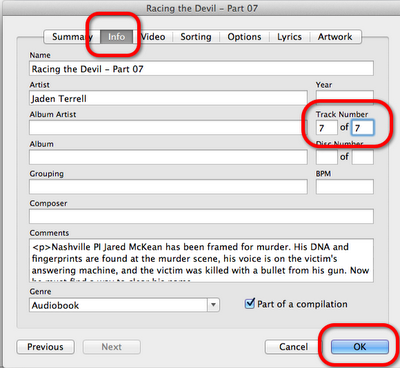 Reconnect your iPod to your computer and allow the device to finish syncing with iTunes. Click on your iPod from the left sidebar. Notice that there are no numbers to the left of each part. Adding these track numbers should correctly order your parts. Give each part a track number (1 of 7, etc.) 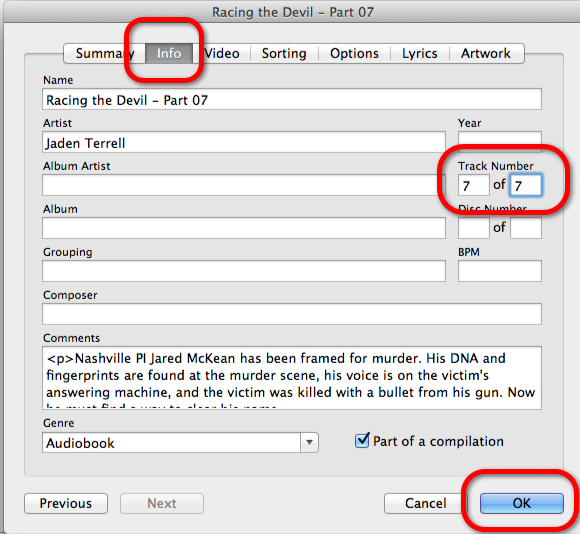 and click "OK."
Repeat these steps for each part of the audiobook.